From the old fashion telegraph, fax and snail mail, e-mail or electronic mail has indeed replaced and innovated this generation’s communication through the fast and hi-tech way of reaching our loved ones no matter how far they are. Although there are some people who still prefers the former from the latter, email has gained the majority’s approval. Through the years of using email, it has indeed caught the idea of some webmasters to create email templates that will somehow take interest in not only conveying information but creating a nice presentation as well. All throughout the web, various email templates are continuously circulating and is somehow attracting the interest of email marketers, promoters and some bloggers who can easily identify the possible attraction a good email template can create. As an initial offering, 50 Appealing Email Templates is presented in this next post, showcasing several unique and cool email templates. The templates can be purchased and installed with some unique features that are enumerated in the collection. Feel free to check them out!!! • It adds Mobility to your Email Template using QR Code..
• It let you customize the way you want, as to maintain your style, choice of colors & brand Identity. • You can easily create Mirror modules with click of button. 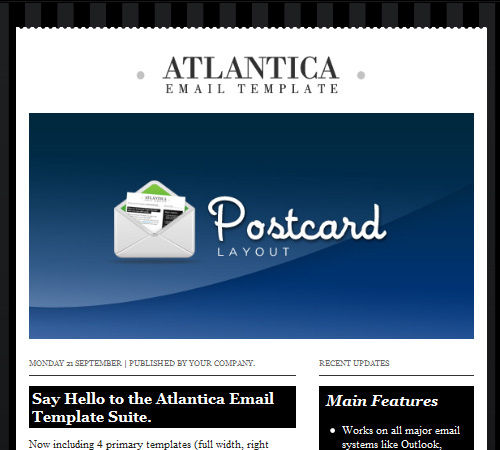 Make your Email Template look Yours. • Tested in all major email clients. • Send your subscribers seasonal greetings for monthly / any occasion. • Commented and documented for easy extensive customization . • Proper PSD with layers, slice with proper names, made in such a way so editing different items is very easy. • The email template suits for any email marketing, designer, photographer, ecommerce, clean, shop,product email, kando, email template, white, blue, green, red, textured, sharp, clean, dark, modern, sleek. 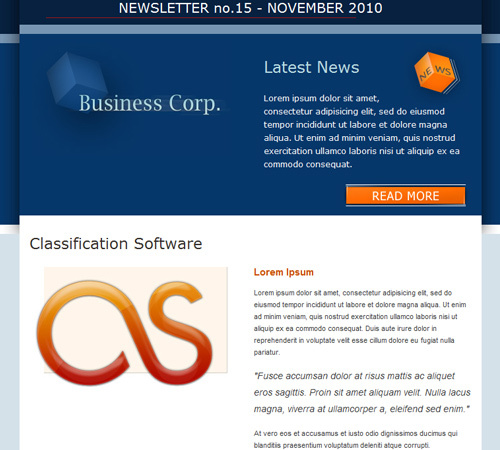 • The newsletter has been tested and verified to work on all major email clients. The tests was made with Litmus – a great HTML testing tool. • PNG – Firewords file included – fully layered, labeled and sliced. • Ability to delete/duplicate any row/table. • 6 Unique Layout Designs. • 6 Unique Color Schemes. 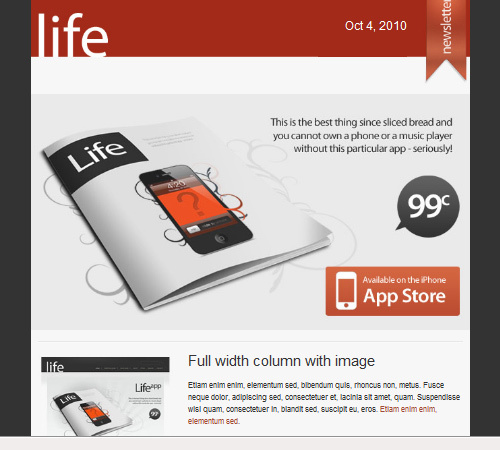 • 36 HTML Email Templates. • Fixed, fluid layout and valid HTML . • Layered Firefox PNG and PSD for Customisation. • Compatible browser: Yahoo Mail, Microsoft Outlook, Thunderbird, Hotmail, Apple Mail. 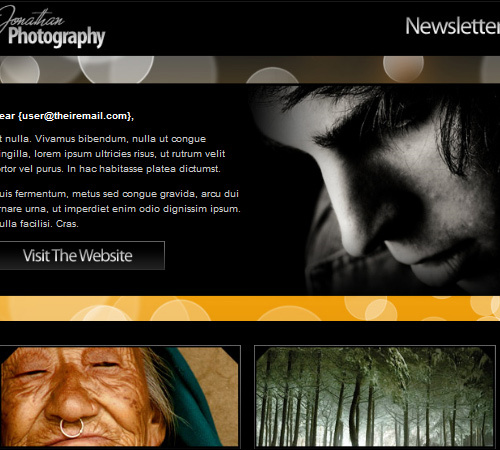 • ThemeForest Files Included: Layered PSD, JPG Image, HTML Files. • 3 different color schemes: Black, Brown and Green. 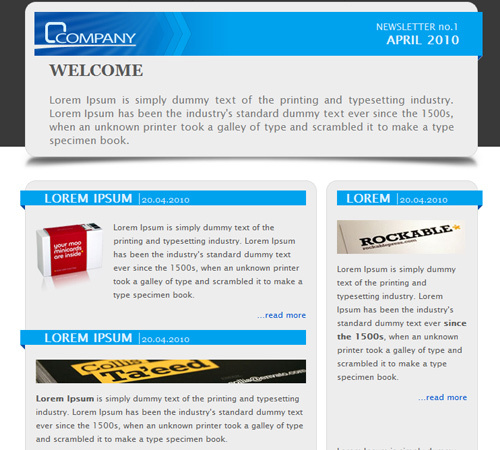 • 2 different layout options: Column format or Row format, expands gracefully. • 6 labeled and organized PSD files for each color scheme/layout option. 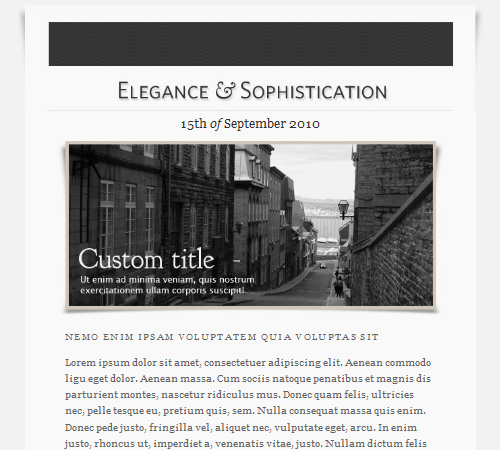 • 12 complete HTML files, with your choice of original styling or in-line styling for each color or layout. • Easily customize your own layout and colors with built-in layout elements – just copy and paste. • Includes customizable css and launchable inline css files for every layout..
• 2 different themes: Dark theme and White theme. • 2 Fully layered PSDs, grouped and named accordingly. • 2 xHTML files with internal CSS code. 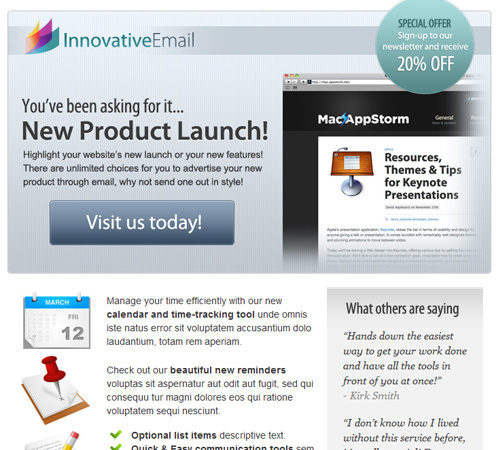 • Compatible with Major Email Clients . 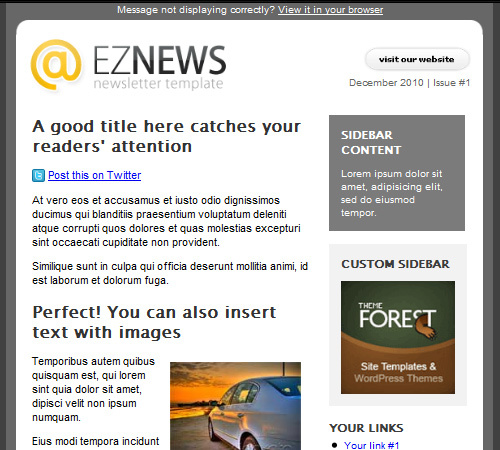 • Professional Email Template – Send email campaigns to promote your latest news, blog/forum updates, announcements, product, service etc. 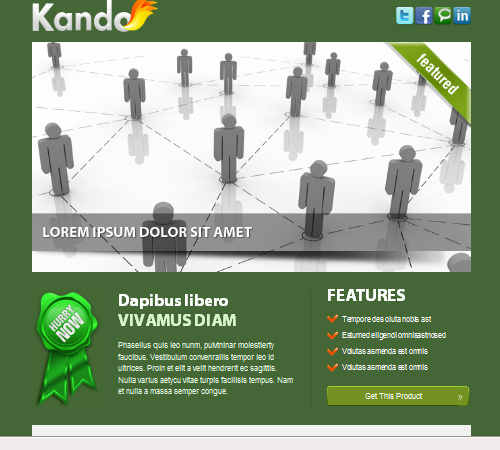 • 6 Layouts to serve all needs6 Layouts to serve all needs. 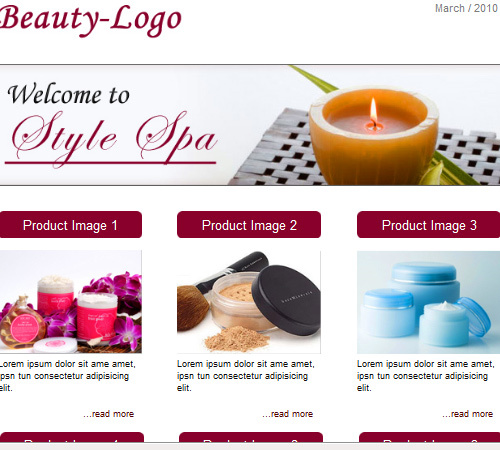 • Professional Email Template – Send email campaigns to promote your spa, beauty products, beauty blog, latest news, blog/forum updates, announcements, product, service. 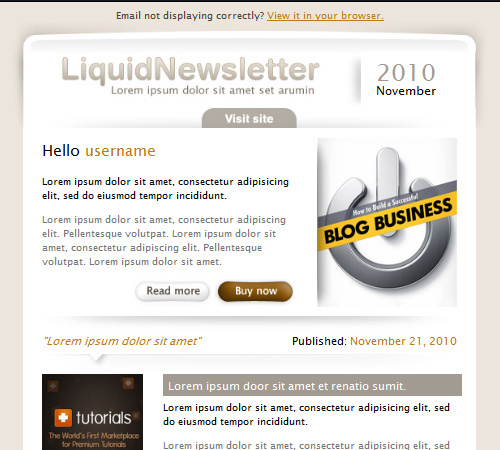 • Professional Email Template – Send email campaigns to promote your latest news, blog/forum updates, announcements, product, service. • 8 Layouts to serve all needs. • 5 Layouts to serve all needs. 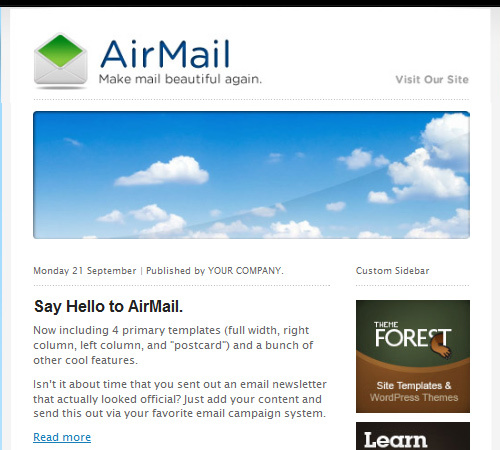 • Airmail is a professionally built and designed custom HTML email templat. • comes with 5 pre-built color options (white, green, blue, black, light blue). • Customization is incredibly easy. • All PSD files included (8 total). 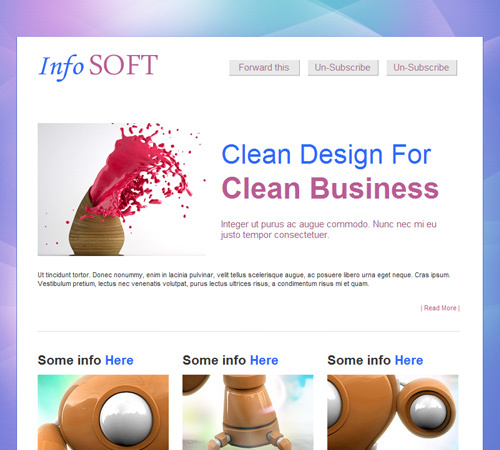 • 6 Different color HTML Templates (Blue, yellow, Magenta (fuchsia), gray, green, purple). • Full layered PSD Files. • Commented and clean CSS / HTML . 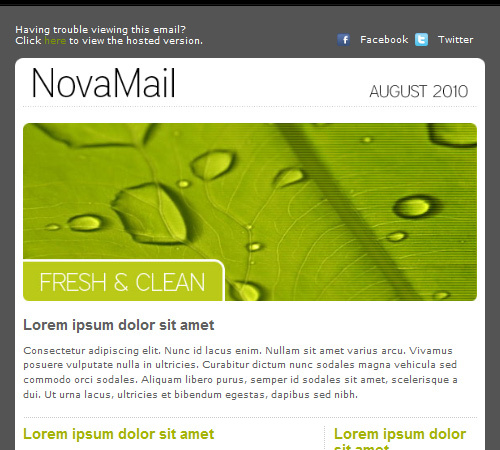 • 4 HTML Email Templates(inline CSS ). • Tested in on Apple Mail,Gmail,Hotmail,Microsoft Outlook,Thunderbird,Yahoo Mail,MailChimp and Campaign Monitor. 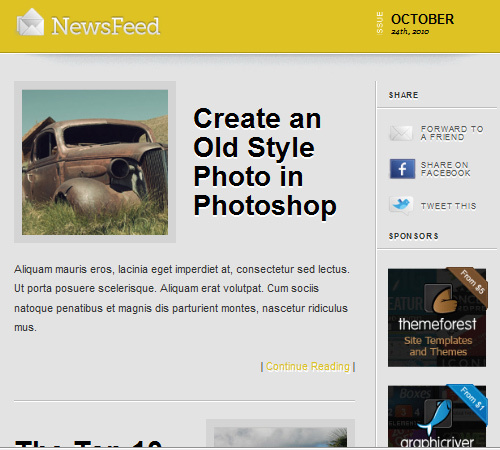 • Video guide to help you create new layout you need. 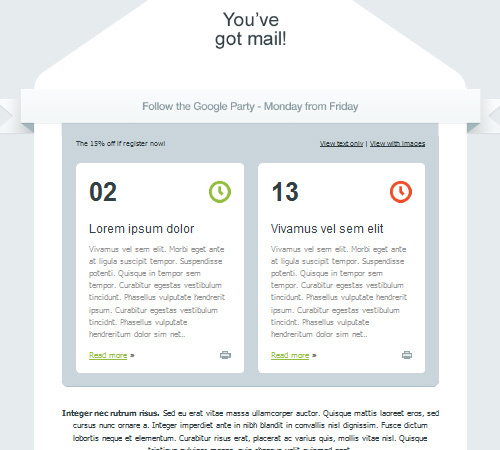 • 6 HTML Email Templates (3 designs – 1 of each for Campaign Monitor). • 12 Layered Quick Edit photoshop files to replace / create your own https://naldzgraphics.net/wp-content/uploads/2011/03 / buttons and logo easily. • 8 different color schemes for the header https://naldzgraphics.net/wp-content/uploads/2011/03. • 1 Help documentation with hints and tips. • 1 layered Photoshop File contains all themes graphic elements in case you want to change or create new color. • Very easy to customize it through user friendly documentation. • Ability to copy/paste rows from layout to another. • Valid HTML 4 .01 Transitiona. • Both light and dark versions. • 5 professional layouts for each version. 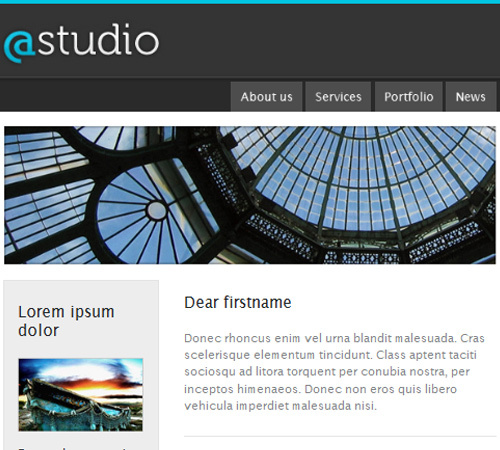 • Includes customizable css and launchable inline css files for every layout. • Compatible Browsers: Apple Mail, Gmail, Hotmail, Microsoft Outlook, Thunderbird, Yahoo Mail. 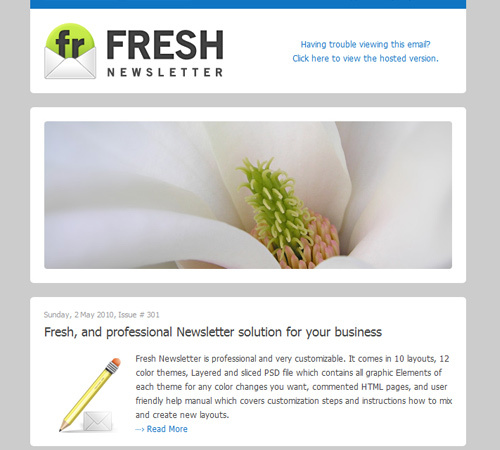 • Premium email template suited for just about anything from new product announcements to weekly newsletters. 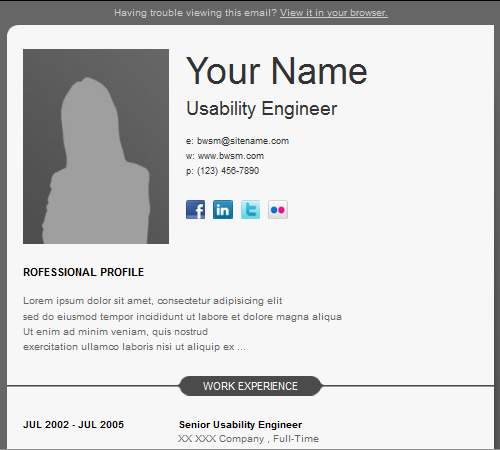 • Complete with a pre-sliced PSD for easy customization. • Fully layered PSD files with all 16 themes. • Used graphic elements in separated PSD files. • 4 different colors: red, green, blue, grey. • 2 Top Designs (latest news or static image. 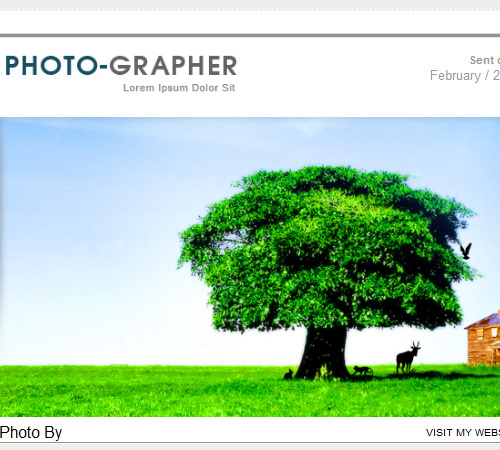 • overall: 32 HTML pages + 2 HTML mix example. • Fully layered PSD files with themes. 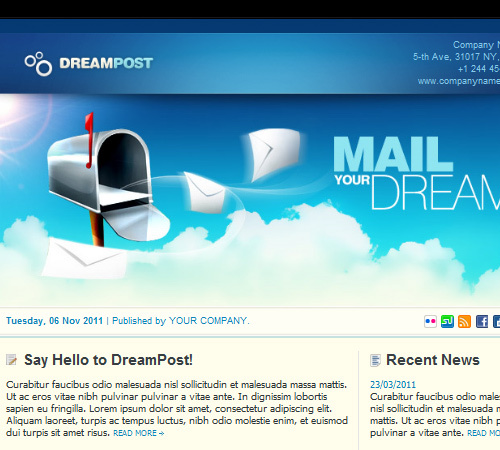 • All used graphic elements are prepared in separated PSD files. CleanMail – Email Template Package – 5 Colors! • You get 5 different color schemes: Black, White, Blue, Green and Red. • PSDs included for every color scheme. 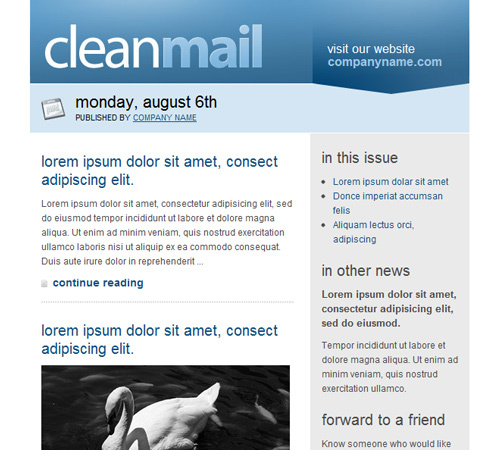 • Both the email ready templates (with in-line styles) and original templates (clean) are included. 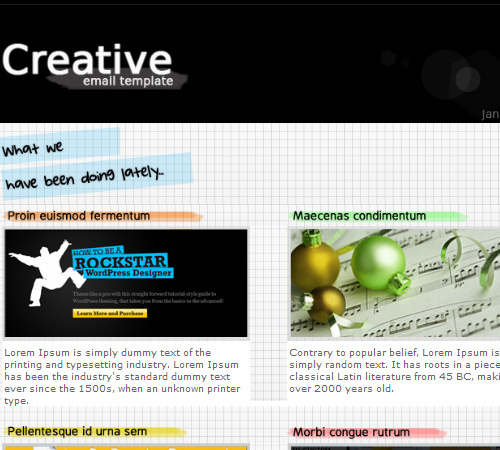 • 3 Different Colored Single Column HTML Templates. • 1 Single Column Photoshop File (3 Colors). • 8 Quick Edit Photoshop Files For All Elements. • 1 Buttons Layered Photoshop File To Create Your Own Buttons. • Over a dozen Modules – ready to use simply by copy/paste. 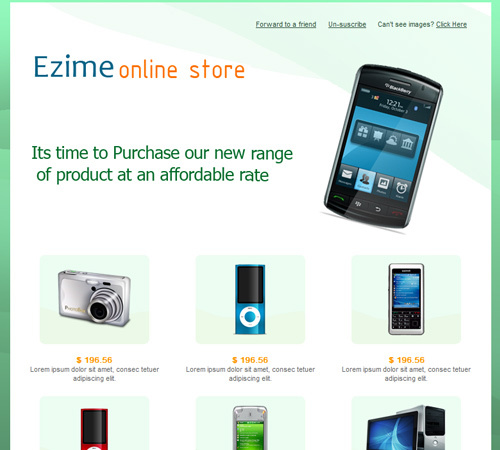 • Send product updates, news, special offers and social events details. • comes in 5 flavors (Blue, Red, Green, Orange and Violet). • 60 HTML files (with embedded CSS ). 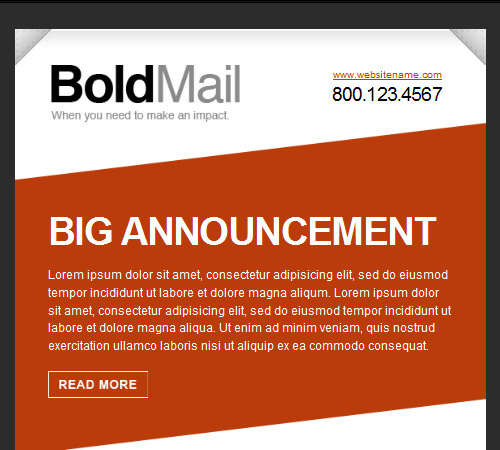 BoldMail – Email Template Pack – 9 Colors! • 9 different color schemes: Red, Blue, Green, Orange, Purple, Teal, Maroon, Black and White. 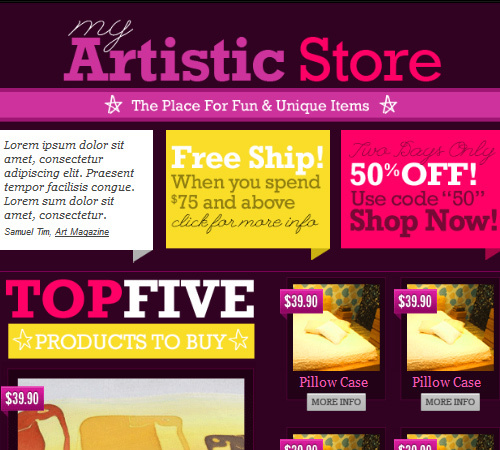 • 9 PSDs included for every color scheme. 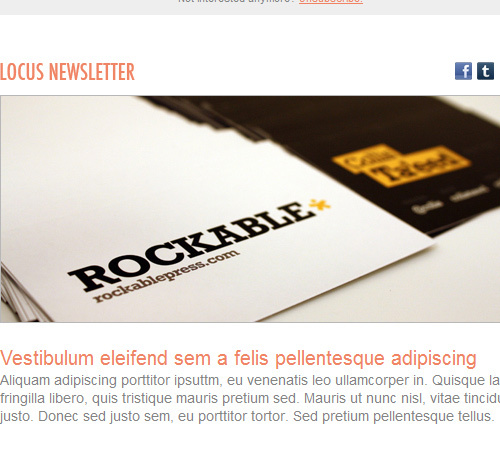 • 9 Email-ready templates in HTML format. • 9 MailChimp-ready templates, tokens included. 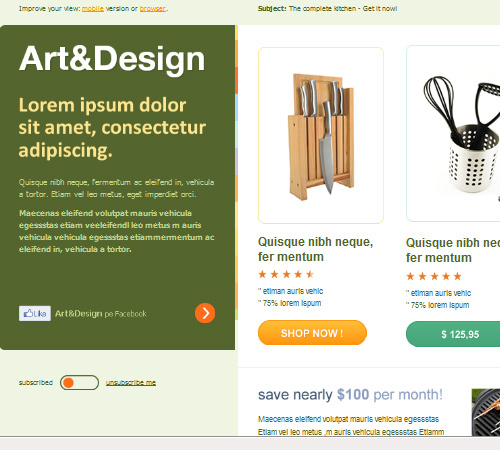 • Creative template and Customizable all item . • Style file should be placed on the body in. • Compatible Browsers:	Apple Mail, Gmail, Hotmail, Microsoft Outlook, Thunderbird, Yahoo Mail. 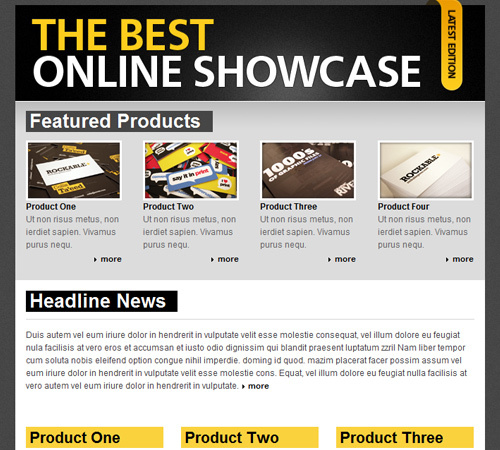 • three easily editable base layouts. • 3 fully labeled and organized PSD files, which can be easily customized to fit your content. • Layout options include: Left-aligned, Right-aligned, and One Column. • 3 different background choices: Grid, striped or standard. Colors can be altered with ease. 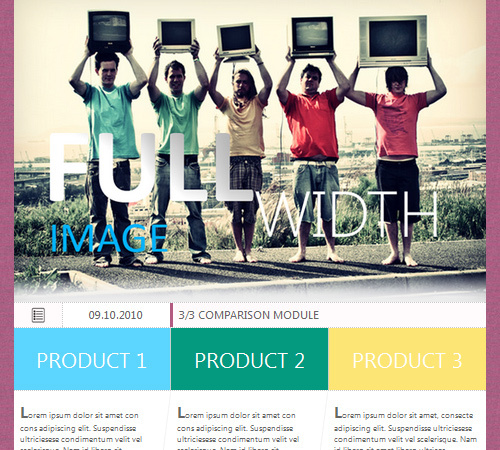 • 6 complete HTML files for each layout type, with original styling and in-line styling. • Endless layout possibilities with to block styles. 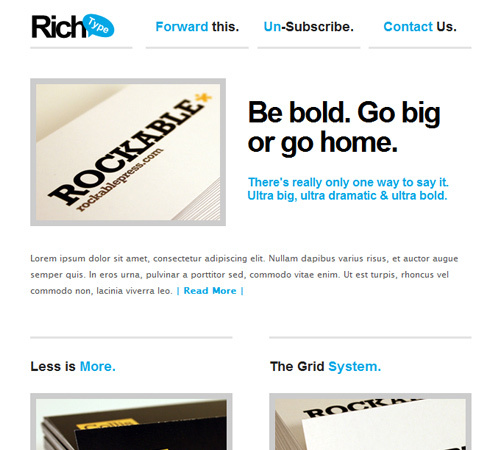 “Grid” and “Content/Sidebar” blocks are included that can be mixed and matched to suit your needs. • Fully functioning Campaign Monitor versions also included. Just import and you’re ready to go. • PSDs included for each color. • You get 6 colors: Blue, Green, Red, Orange, Green and Black. • 9 PhotoShop files for all the design elements. • 2 commented HTML files. 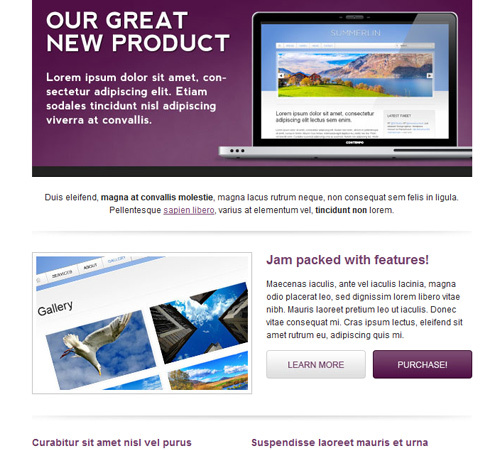 • highly stylized HTML email template easily adaptable to any business type. • Full layered template Photoshop file. • “Top envelope” Photoshop file for fast editing. • “Product with price” Photoshop file for fast editing. 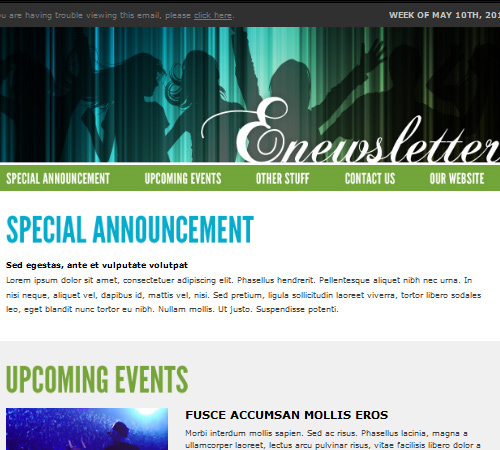 • Ready to use HTML newsletter page. • 8 Unique Layout Designs. • 8 Unique Color Schemes. 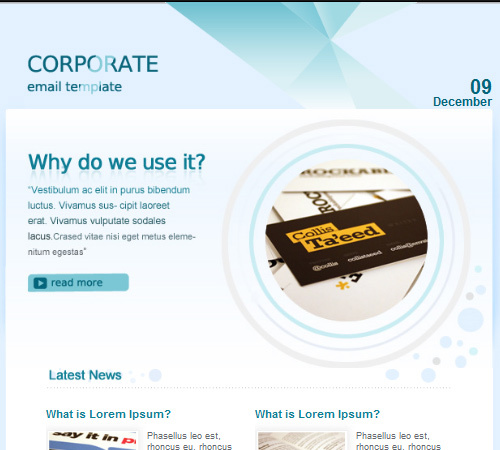 • 64 HTML Email Templates. 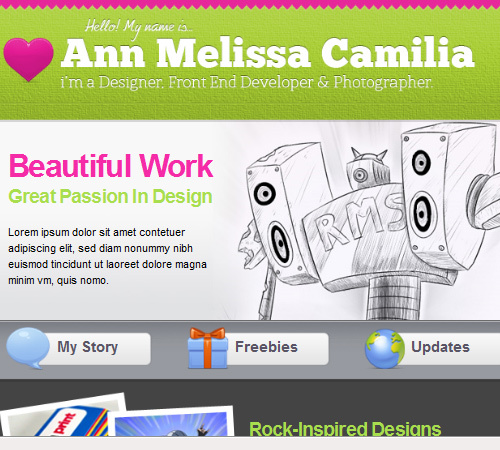 • 2 Column Layout (Right Sidebar). 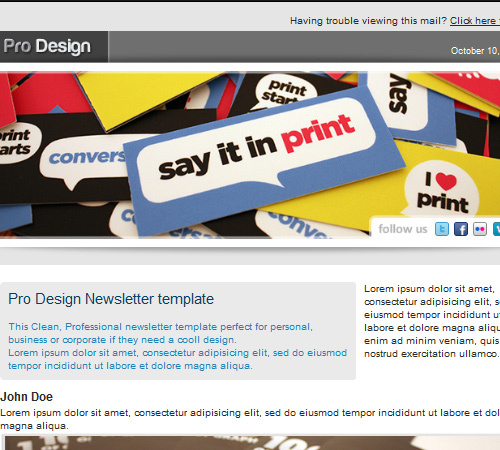 • Professionally built and designed custom HTML email template. 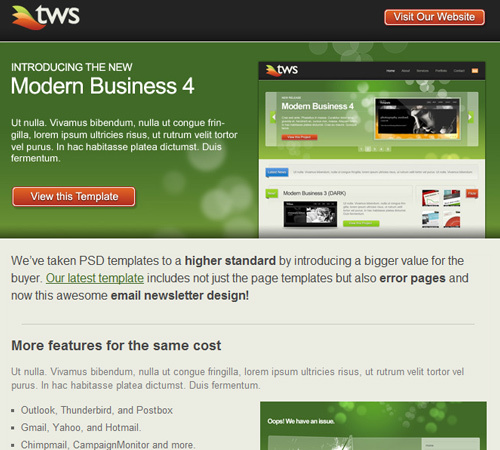 • 24 HTML Email Templates. • 4 layouts (Full size & 2 columns – sidebar right/left). • Very easy to customize it through user friendly documentation. PDF Help file. • Check out screenshots for layouts features. • 3 different colour backgrounds: Dark Grey, Blue, and Dark Yellow. • 3 Fully layered PSDs, grouped and named accordingly. • 3 xHTML files with internal CSS code. • suits all corporate/personal purposes. 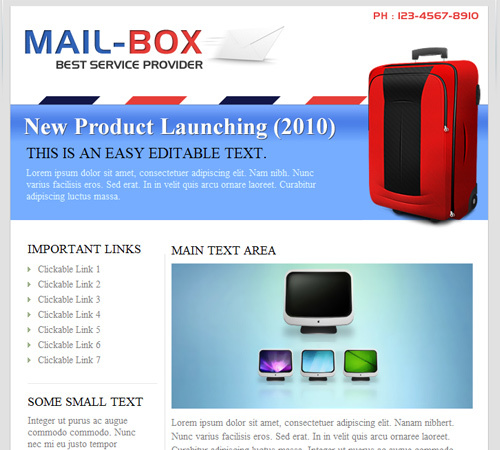 • Cross email compatible with all major email clients. 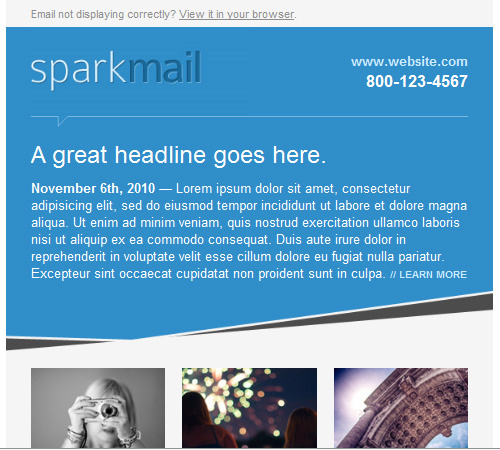 • Degrades gracefully on older email clients. • 3 layouts, ready to be used out of the box. 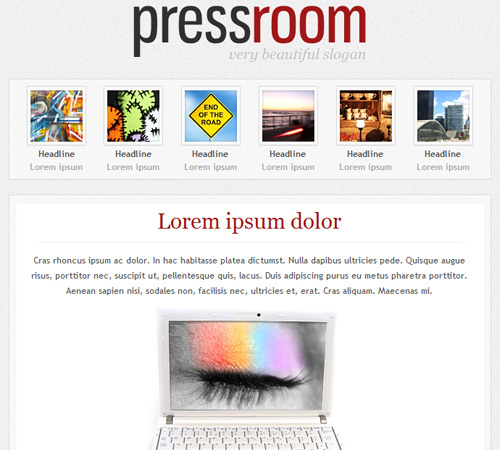 • 3 different color themes for every layout . • psd file for every layout, so that you can customize everything. • documented source code and help file. • 4 colour themes: 2 Dark themes and 2 White Clean themes. • 4 Fully layered PSDs, grouped and named accordingly. • 4 xHTML files with internal CSS code. • 3 Different Unique Layouts. 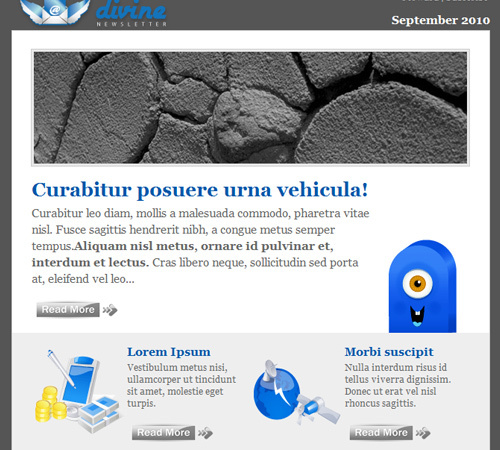 • 3 HTML files with inline CSS code. • Compatible with major browsers. • Tested and working with the most popular mail clients (Gmail, Hotmail/Live, Thunderbird, Outlook, MobileMe, AOL , Apple Mail, Yahoo Mail etc.). • Includes 24 PSDs + 24 HTMLs + Help file. 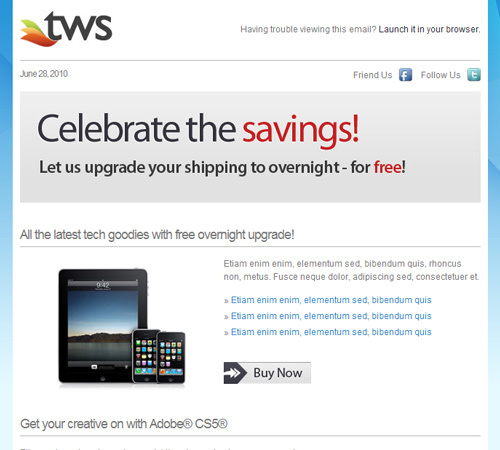 • Code has inline CSS for better compatibility with all mail clients. • PSDs are organized into layers and folders, with hierarchical structure. • 7 Themes each of them contains 5 different layouts. • Multi-choice palette for your background. 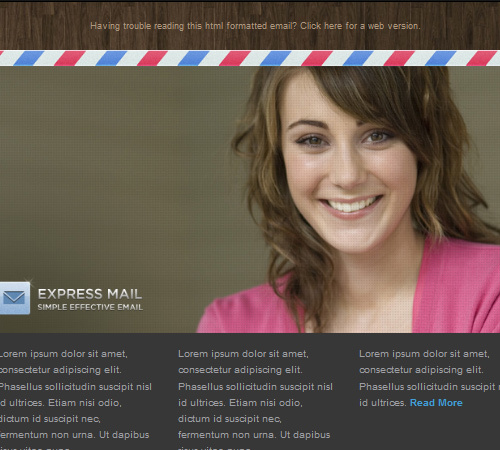 • HTML /CSS has been tested and meet major standards for mail applications. • comes with 6 backgrounds and 4 colours. • PSD file is “sliced & named”. 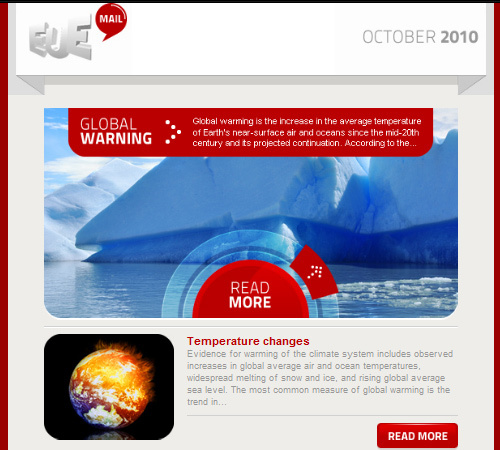 • 50 HTML pages Newsletter Template. • 5 theme colors: Blue, Green, Red, Orange and Black. • 5 Layered PSD files : fully layered & organised. • 5 colors included : red, green, blue, orange, grey. 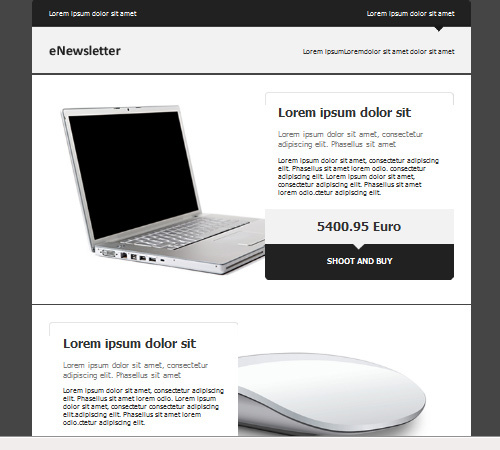 • 25 HTML EMAIL TEMPLATE . • FULL LAYERED PSD FILE. 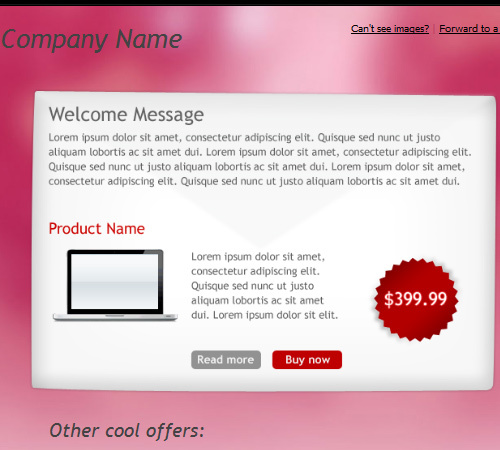 • Can customize the whole template idea to fit any other usage. • working in all major email servers. 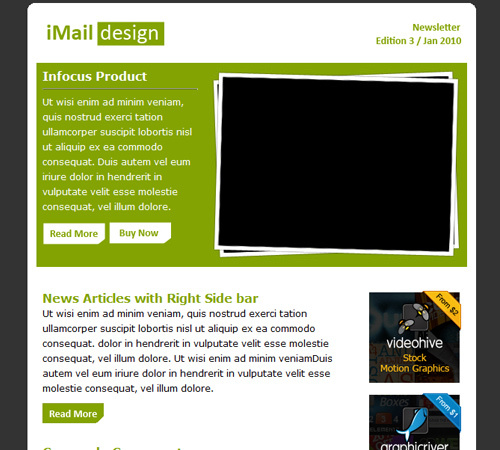 • 5 color themes, 3 dirrefent backgrounds, each of them containing 3 layouts – ready to use HTML newsletter pages. • PSD layered photoshop files contain all themes graphic elements. • Ability to copy/paste ‘blocks’ from one layout to another. • Tested in all major email clients / web clients. • Compatible Browsers:	Gmail, Yahoo Mail, Microsoft Outlook, Thunderbird, Hotmail, Apple Mail. • The .PSD file is fully layered, labeled and sliced. • Has 3 layout and 5 color options. Well done Ebrian, these are such a wonderful list..
Yay cool list of resources best list ever..
Nice and really useful collection, thanks for share..
Really worth to get into this list. Thanks for the list ! 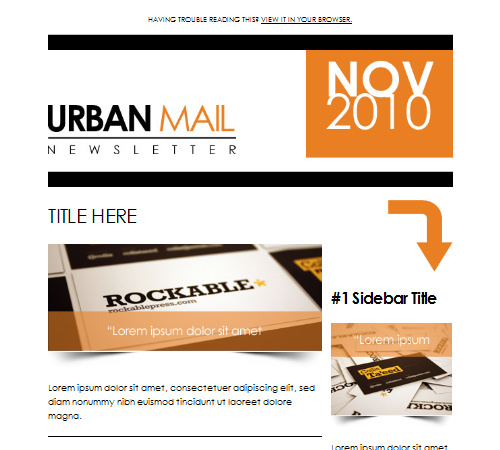 Great email templates.. 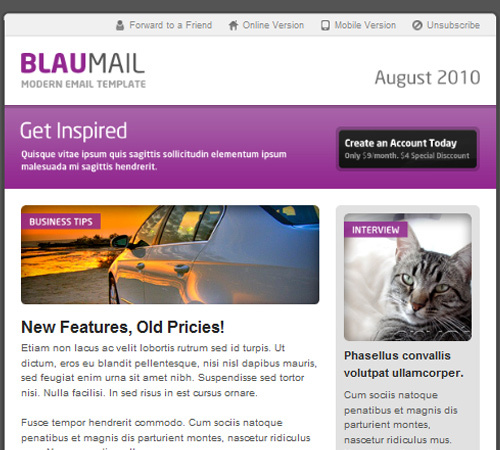 I really like the first one”Nexus Simpla | Email Template” I purchased it… Great modules & documentation, Clean Design.. Loved it ! Thanks again for the list ! There are too much choices of template to choose on and some of them are really attractive. Hey, I am searching for this type of templates and i got it.